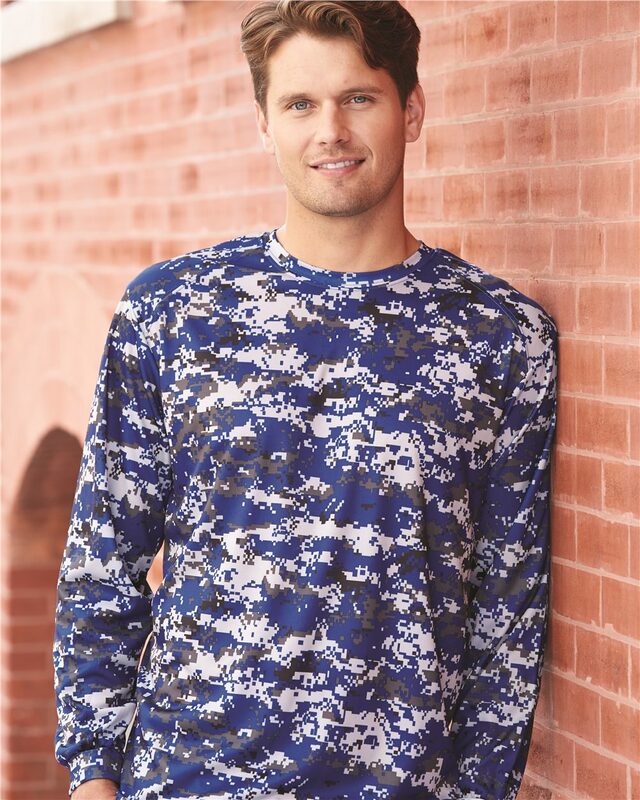 Badger - Digital Camo Long Sleeve T-Shirt (4184) 100% sublimated* polyester. Moisture management and antimicrobial performance properties. Sport shoulder for maximum movement. Self-fabric collar. Double-needle stitched hem. Badger heat transfer logo on left sleeve. Out of stock of Sand Digital size 3XL.